I am back with a post on one of the most instagrammable venues in Swansea, at the moment! 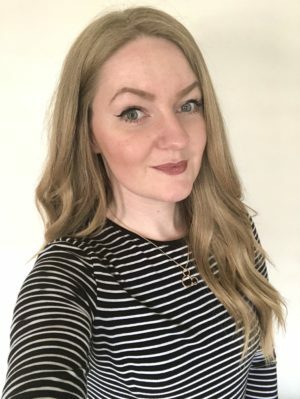 I am so excited to share my opinions on The Slug and Lettuce in Swansea with you all. We were very kindly greeted at the door and whisked away into a very open and spacious room filled with fairy lights. You love an instagram trend? Believe me, Slug and Lettuce have got it! From the palm tree and leaf inspired wallpaper, to the monochrome patterns and even a photo opportunity wall! 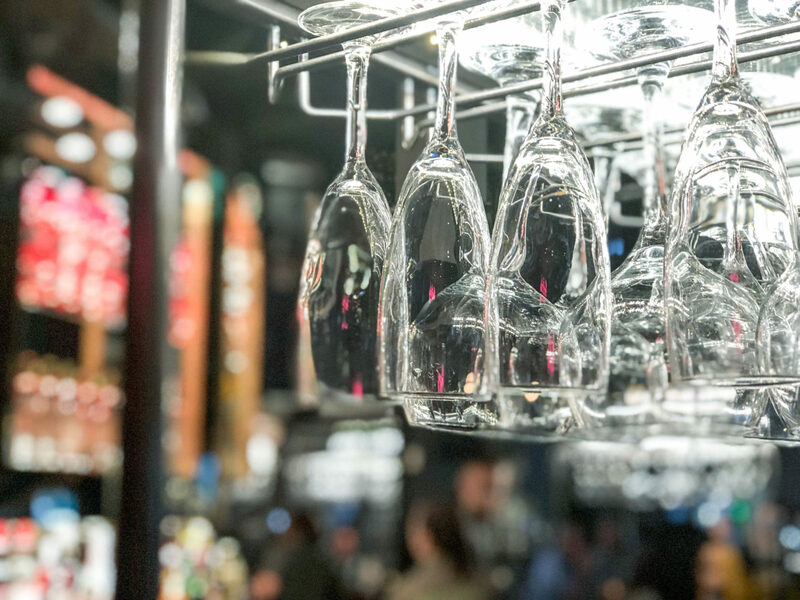 There is such a cosy feel to the Slug And Lettuce in Swansea, definitely somewhere where you can bring your friends together for a good catch up! 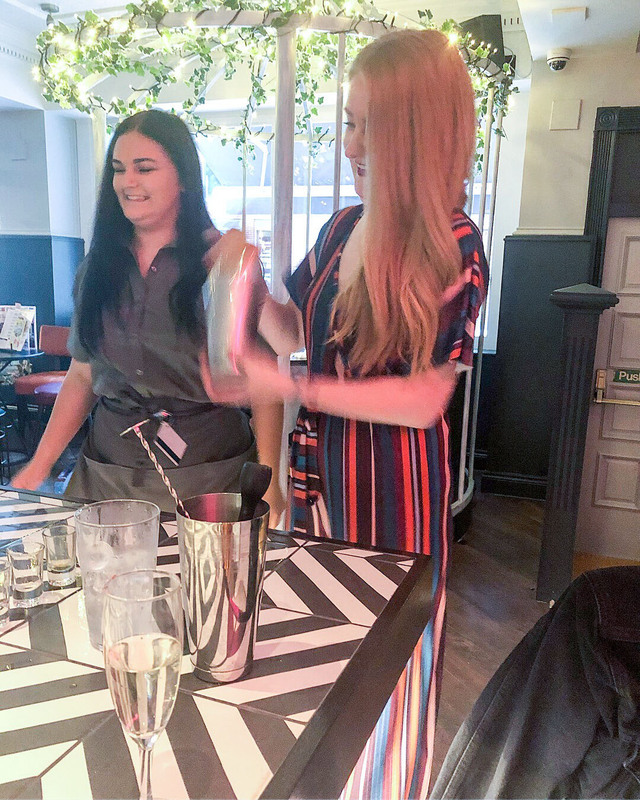 We all know what it’s like to get carried away at work and somehow everyones plans clash..
We were offered to try out a cocktail masterclass which I had never done before, so this was really exciting! I even got out of my anxious comfort zone and volunteered to help which is NOT like me and it was SO. MUCH. FUN. 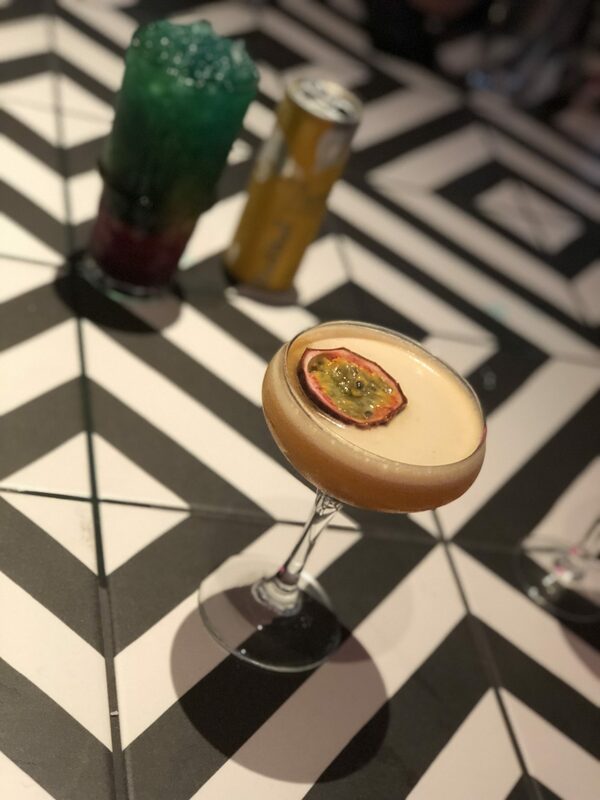 I created a passionfruit and pineapple juice cocktail which apparently was gorgeous (I am not a pineapple fan, sorry world). 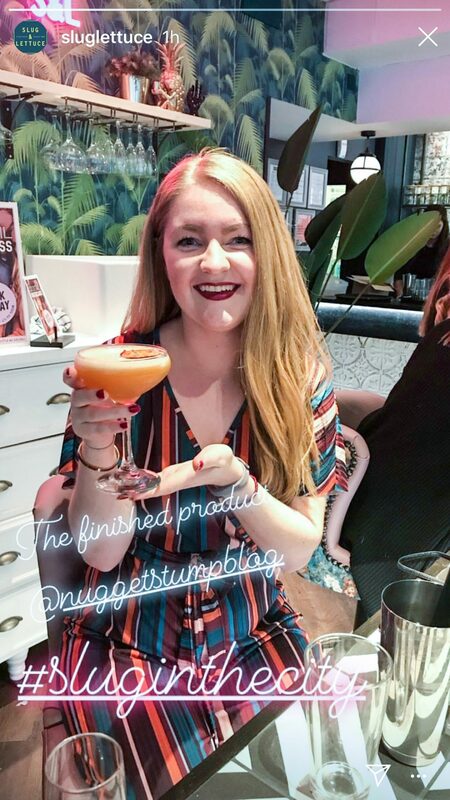 The staff were really informative and gave us so many tips and tricks on how to create the perfect cocktails! After we were done making cocktails, we took the opportunity to have a browse around Slug and Lettuce. Everywhere you went, it was completely on trend and utterly gorgeous. 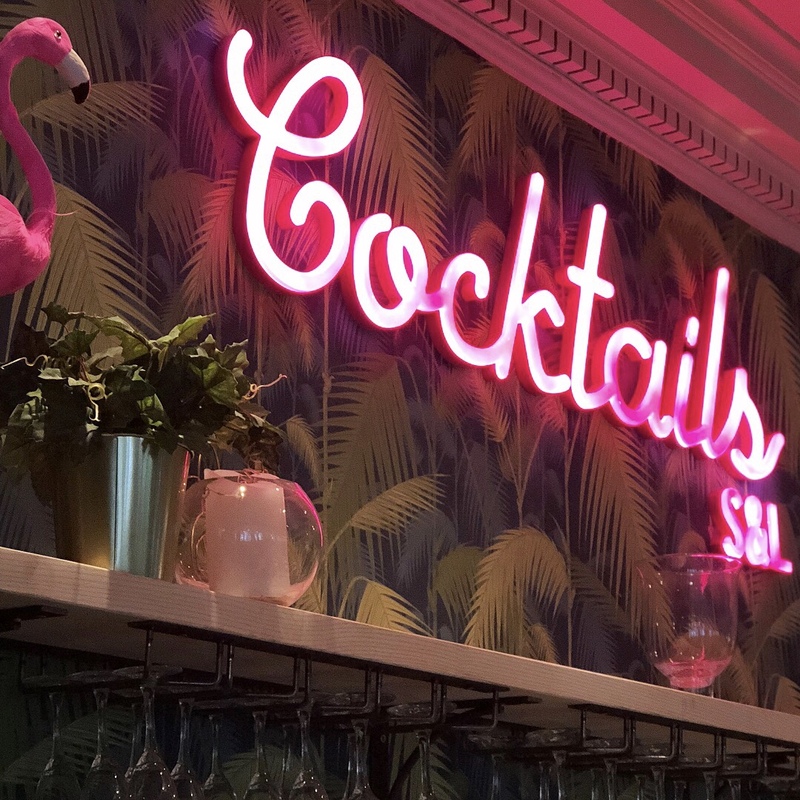 From the prop walls upstairs, to the lit booths and even the bathrooms with the amazing flamingo wallpaper and gold framed mirrors! We then got to know each other, as not all of us were familiar with one another so that was really nice! And what makes that even better? Sharing some platters with everyone! We had such a lovely time and I met some amazing people that I will stay in contact with. The platters were catered for everyones needs, so if you are vegetarian then have no fear as the Slug And Lettuce have got you sorted! One platter had a range of chicken strips, chicken wings, sliders, onion rings and loaded nachos. Whilst the other platter was full of camembert cheese which was the highlight with plenty of vegetables to dip in! As the evening settled down, the city was becoming much busier as it was a Saturday evening. The place was in full spirits with so many people enjoying themselves and whilst there was music playing, you could still hear each others conversations which is a HUGE plus! I would definitely return to The Slug and Lettuce and organise a catch up with my friends in the near future. It’s a perfect excuse and is definitely needed after all the hard work we are all getting up to! 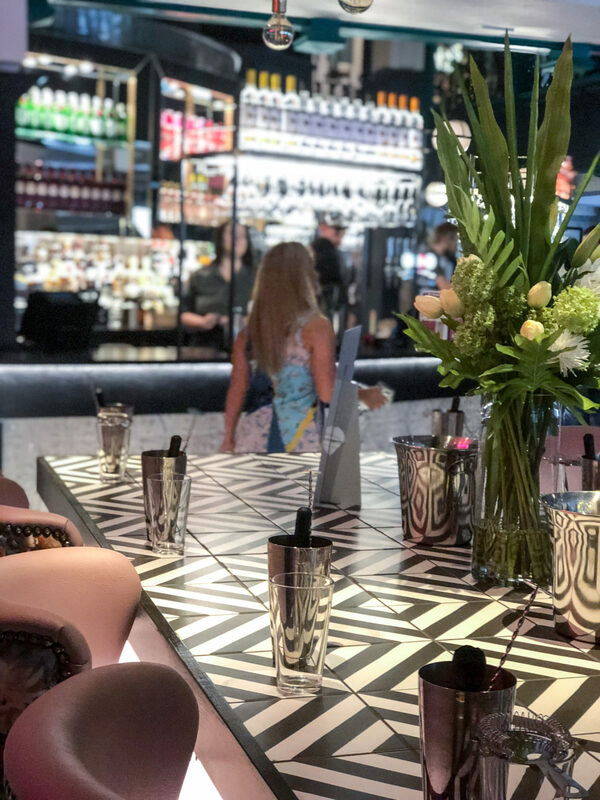 So, here is my huge thank you to Slug And Lettuce for inviting us along to their VIP Launch. It really is a beautiful place to visit and was an absolute pleasure to come along to! Not forgetting a massive thank you to April for organising every detail for us – you are a star! Lastly, here is a photo that Slug and Lettuce caught of my very proud moment, with the final product! 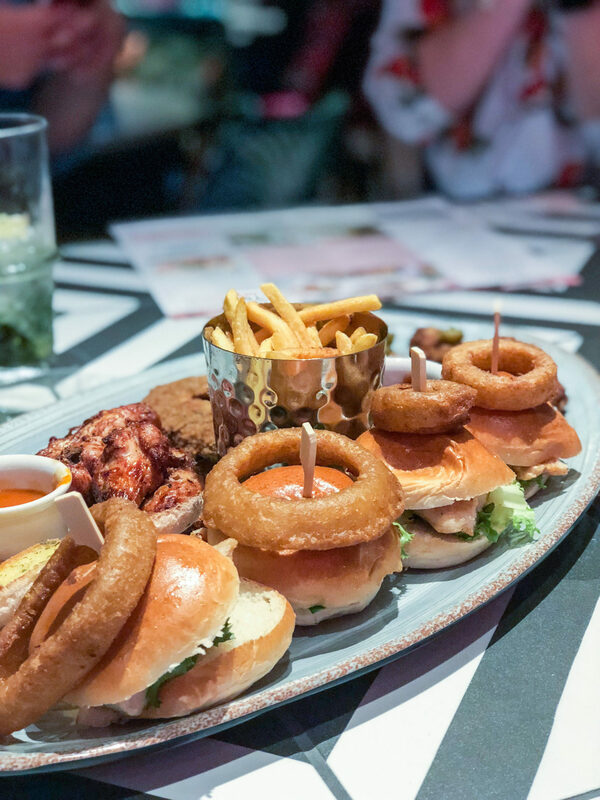 Have any of you visited a Slug And Lettuce near you? I would love to know your thoughts!